I had $23.70 in coupons, including a $10 Baby Bucks certificate earned last week. Spent $147.29, saved $63.11. 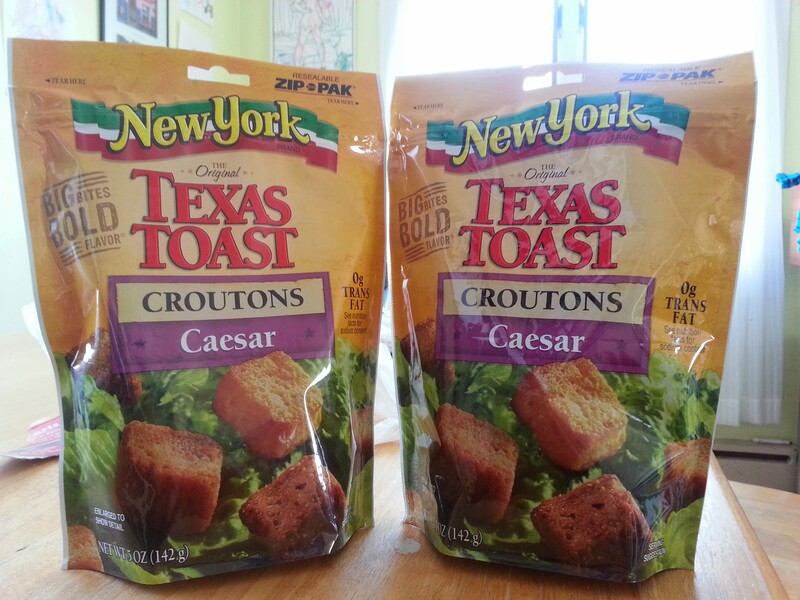 Best deal: free croutons. On sale for $1.00, so a $0.50 coupon doubles to $1.00 making them free. Also, there was a ShopRite Super Coupon in the circular for $3 off any five Quaker products. That one was a no-brainer for us: bought five boxes of Cinnamon Life. And San Giorgio pasta was $0.77 a box. I have yet to see pasta go lower than $0.77, so I stocked up. Biggest splurge: Breyer’s new gelato. Tiramisu flavor. Mmmm… I had a ShopRite ecoupon for it. The Living Rich with Coupons site was abuzz over the Unilever deal (spend $15, get a $5 Catalina), but I couldn’t get into it. It was mostly Suave and TreSemme hair care products that were included. I stay away from anything that gets too complicated and would lead me to buy something I don’t need.